Done..? I bet some of you might be new to this song but for some of us, this song is legendary..! I do remember myself humming to this song when I was 8, repeating this song again and again while playing games from the huge computer.. Well, I could say it was my jam for years before I grew up and somehow, this song was forgotten.. However, as I was looking for the songs that I could feature for this challenge, somehow this song crossed into my mind and yup, I'm still loving it..! It might be my jam without me understanding the lyrics, but now, as I'm listening to it carefully, this song is lit..! Adeh!!! 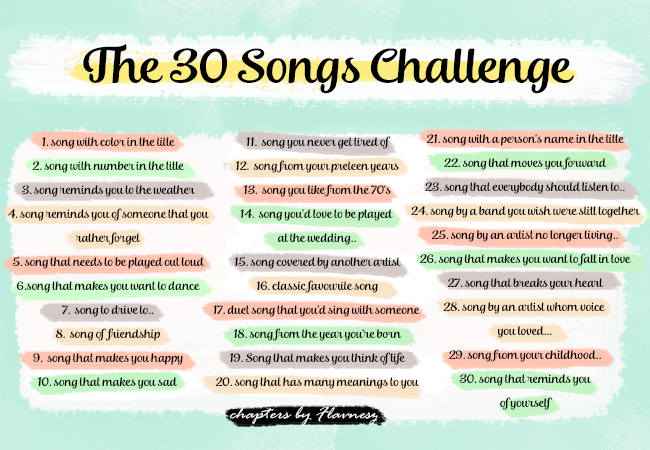 susahnya 30 song challenge ni for Mrs. A.
Suka lagu nie.. Masa nie memang dengar je.. Tapi bila dengar sekarang memang lagu nie beri semangat sebenarnya.. Masih lagi suka..